3 inch thick Hard Covers approx $425 (these may change with market rates). Three times a week service. Season dates are estimates only and change depending on weather & rental conditions. On-season service can also be requested as needed on a monthly basis. 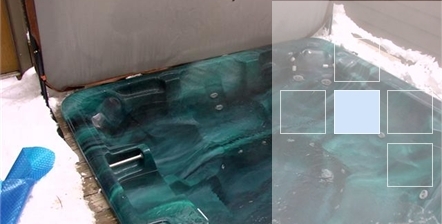 Jem Spa Service has been established for over 20 years and has provided service for thousands of tubs and hundreds of clients. We are a family owned and operated business with strong roots in the local community. We work solely in Park city and surrounding areas and take pride in our name and our work.